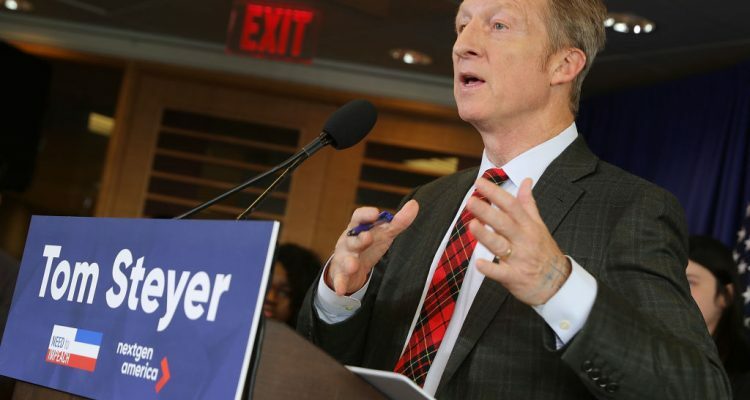 California billionaire Tom Steyer has long had more money than political sense. This past year, as Democrats picked through the wreckage of 2016, it was shown that Steyer’s political spending was the worst in terms of return on investment. During the 2016 cycle, Steyer’s political operation spent $87.6 million and failed to elect even half of the candidates they backed. Yet, Steyer’s spending could backfire, especially if candidates in swing districts are closely connected with Steyer’s extreme liberalism. One thing is certain though, Steyer’s profligate spending is about to buy a lot of Democratic consultants’ beach houses.